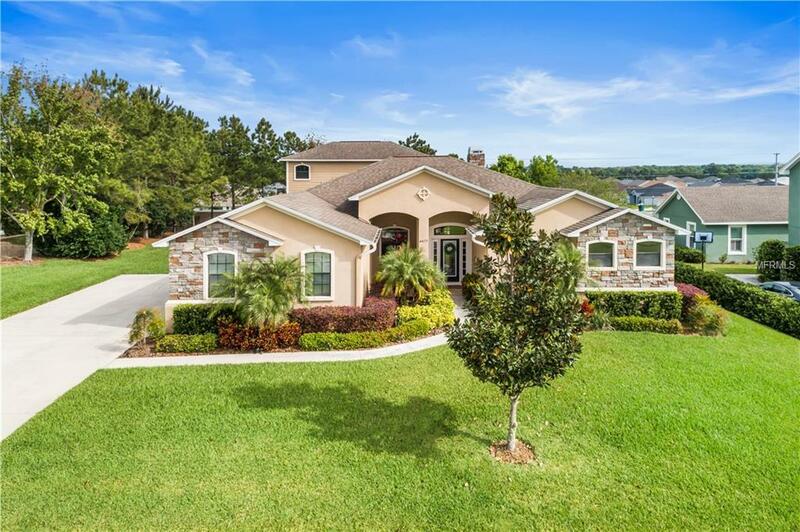 This house has everything you have been looking for! 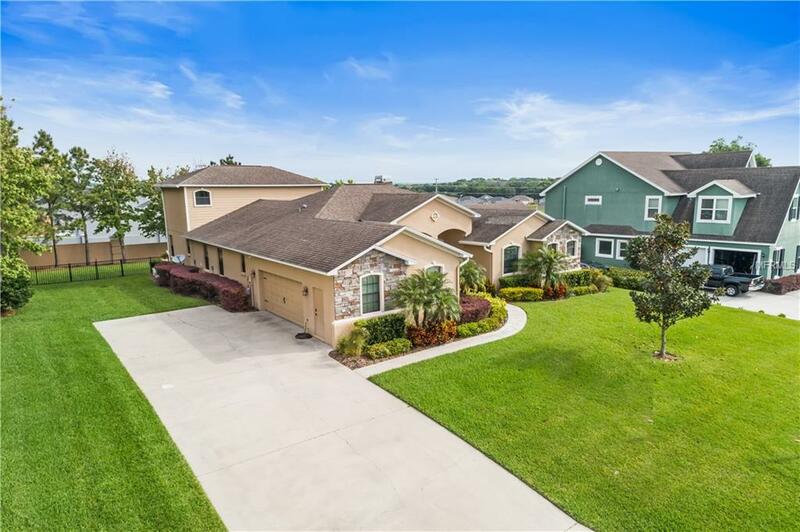 Located in a gated neighborhood in S. Lakeland, this almost 3500 SF home boasts 4 true bedrooms, 4 full baths, PLUS an office/den PLUS a very spacious upstairs bonus room which could also be a second Master suite! The gorgeous kitchen is the heart of this home with maple cabinets, granite counters, a large cooking island with seating, newer stainless appliances, countertop seating at the bar, and a built in desk! Flow into the family room which is the perfect space for entertaining or just enjoying an evening at home. 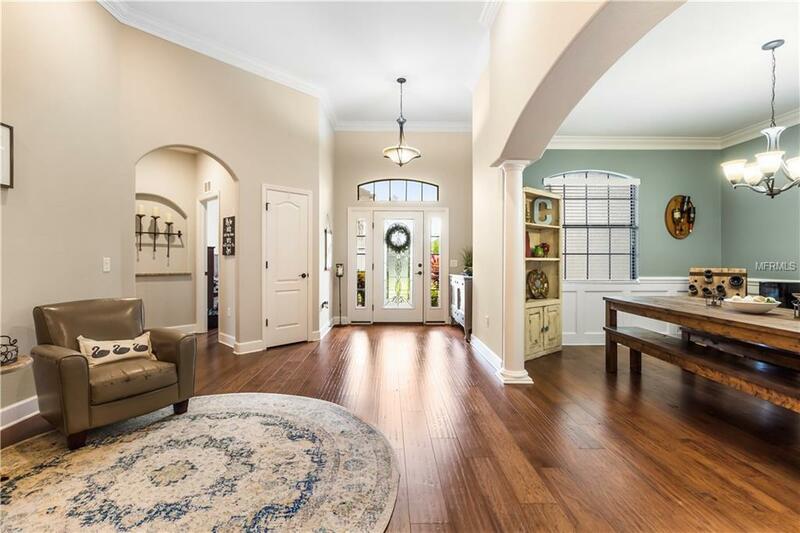 The formal living and dining rooms are highlighted by the stone fireplace, 12 ft. ceilings, crown moulding, beautiful wood floors, custom wainscoting and a foyer to greet your guests. The master suite is highlighted by the large walk in closet, dual sinks, garden tub and a walk in shower. The triple split plan home allow for guests or residents to enjoy their own private space. One bedroom has its own private on-suite bath while two other bedrooms share a bathroom. The fourth bathroom is located upstairs adjacent to the bonus room. Outside you will be impressed by the full outdoor kitchen featuring a sink, propane grill, refrigerator and electric smoker. 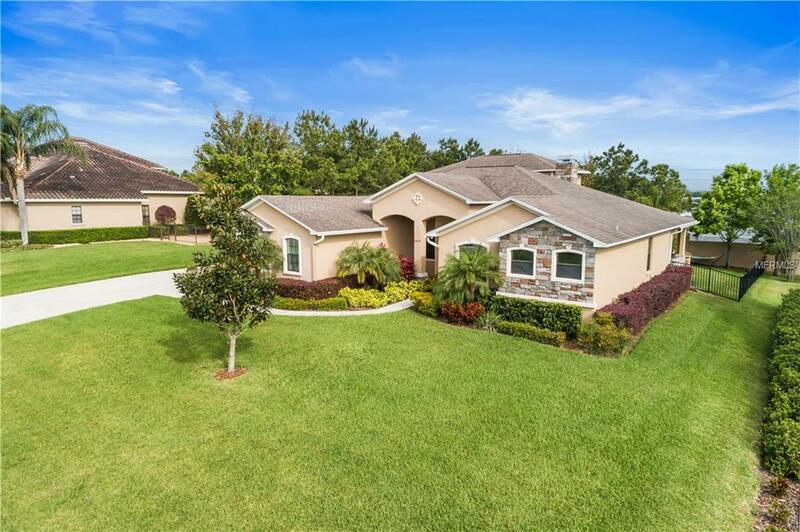 The pavered lanai has a fire pit, seating wall and a sparkling pool with lush landscaping. All of this on your fenced almost 1/2 acre lot. The home is also equipped with security cameras. Call today to schedule your private showing of this amazing home.